Dverghamrar, or “the Dwarf Rocks”, are peculiar, beautiful formations of columnar basalt, one of the most stunning rock formations in all of Iceland. The cliffs are hexagonal basalt columns, with cube-jointed basalt on top. Columnar basalt is formed through the cooling of lava and and a build up of contraction forces. Cracks then form horizontally, developing the extensive fracture network which results in the six sided formation of the columns. This spectacular landscape is believed to have been formed during the end of the Ice Age. Dverghamrar, or “the Dwarf Rocks”, are peculiar, beautiful formations of columnar basalt, one of the most stunning rock formations in all of Iceland. The cliffs are hexagonal basalt columns, with cube-jointed basalt on top. Columnar basalt is formed through the cooling of lava and and a build up of contraction forces. Cracks then form horizontally, developing the extensive fracture network which results in the six sided formation of the columns. This spectacular landscape is believed to have been formed during the end of the Ice Age. At that time the sea level was higher, and so waves are thought to have caused the peculiar look of the rocks. 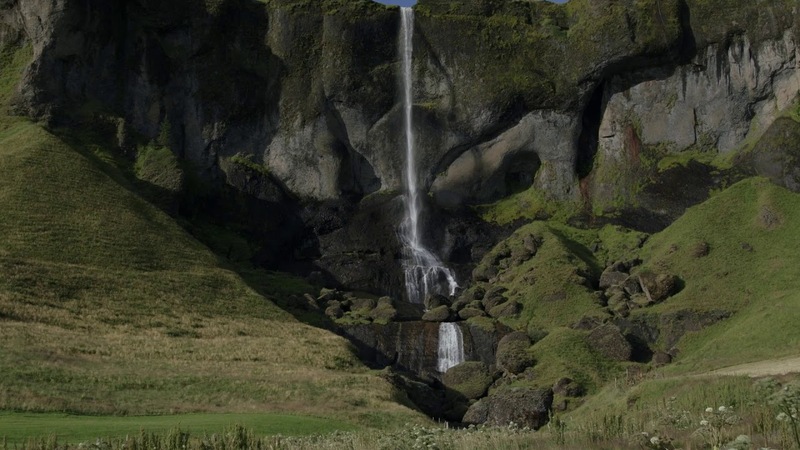 According to Icelandic folklore, the cliffs are home to both dwarves and elves, resulting in the site’s name. Today Dverghamrar are a protected national monument and they are located only about 10 kilometers from our hotel.